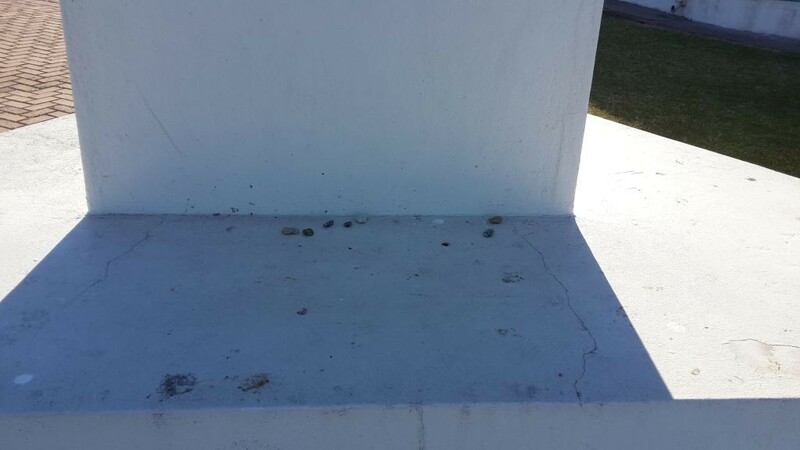 Yesterday 23rd Dec 2015 walking in Langebaan Holy Spirit led me to walk up Oostewaal Road towards the end of town. 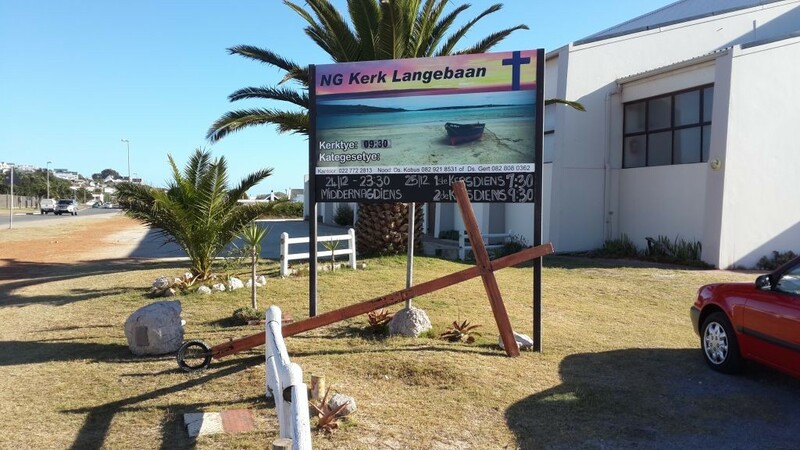 On the way the Holy Spirit told me to walk to the Langebaan NG church to pray there. When I got closer the Lord told me to pick up 7 stones but told me to wait until I get to the church as He will show me where to find them. When I got to the NG church there was a lot of people there with some church activities and also people giving blood. 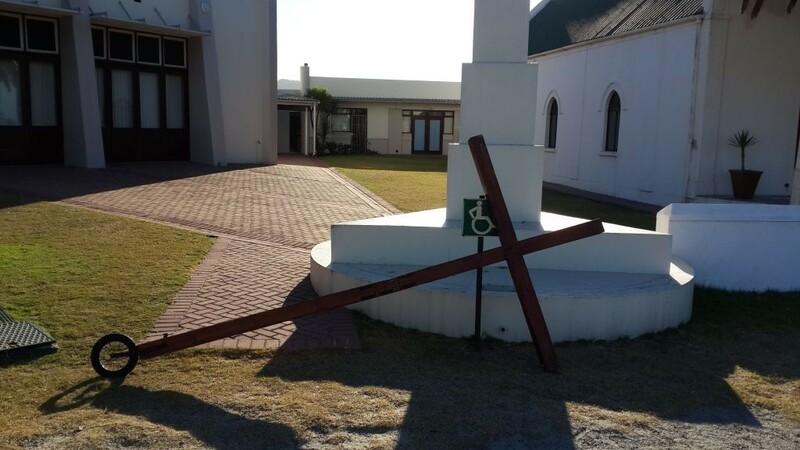 I put the cross down and asked the Lord where I must pick up the stones. He told me I need to walk down to the beach where I will find them. I walked to the beach about 200m from the church. 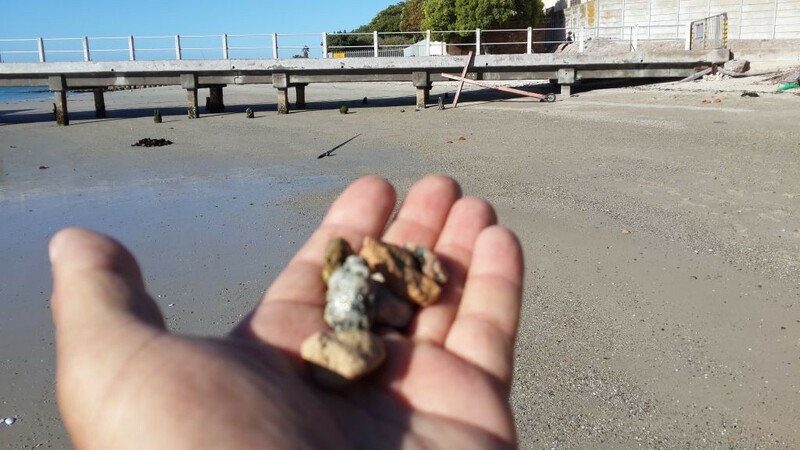 When I got to the beach I picked up 3 stones as I could not find any around but Lord said not those He will show me. I continued to walk and came across an area with lots of small stones. I picked up 7 stones and walked back to the church. I also noticed that there is a Methodist church is next to the NG church in the same grounds. The Lord told me that the 7 stones I need to use as an indicator as He want me to walk around the church 7 times and pray in tongues only as I walk. The Lord said I have to start by the tower with the cross that is on top. Every time I pass I must throw one of the stones down at the foot of that tower until I have walk around 7 times. I walk and interceded praying only in the spirit as the Lord gave me utterance and not one word of understanding. 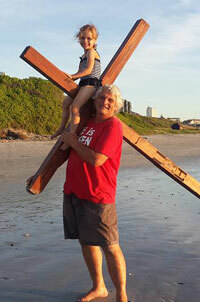 Every time I passed people just looked at me and nobody approached me to find out what I am doing bearing in mind I was carrying a 4 meter cross. As I finished the 6th time around the church the Lord said I must walk the 7th time praising and worshiping him aloud. I completed the walk, sat down prayed and rest a few minutes, left the NG church grounds and continued to walk down the road back to the beach.